OUT of over 1.7million candidates that sat for the May/June 2014 West African Senior Secondary Certificate Examination – WASSCE, across Nigeria, eighteen year old Samuel Nder Thursday received the best candidate award. Nder, a student Vaatia College, Makurdi, Benue State, was joined by two other candidates, Onyinye Oguejiofor of Marist Comprehensive College, Nteje, Anambra and Oluwatobi Raji of St Francis Catholic Secondary School, Idimu, Lagos, in receiving the excellent award were rewarded for their performance in the May/June 2014 WASSCE. Nder obtained 9A1s in the school exam to emerged national best candidate, while Oguejiofor, also 18 placed second with 9A1s as Raji, 17 was third after recording 9A1s as well. All are former students of their respective schools and they are currently in different universities both outside and within the country. 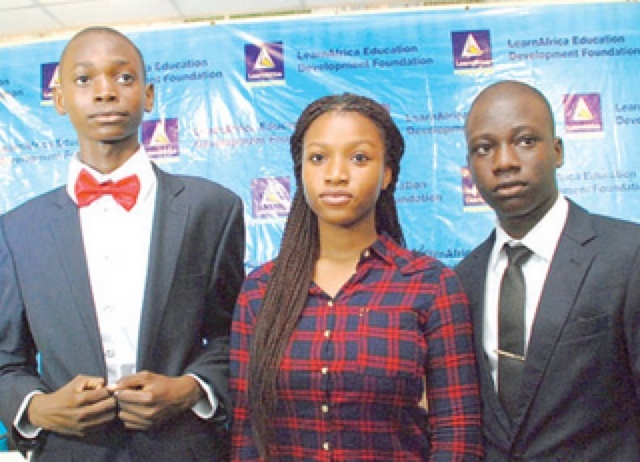 The best candidate, Nder, is currently studying Software Engineering at Saint Peterburg’s Electro-Technical University in Russia, while Onyinye is studying Medicine and Surgery at the University of Nigeria, Nsukka. Raji is a student of the University of Lagos, Akoka, studying Petroleum Engineering.